Richard Cox studied Fine Art for 8 years in Newport, Birmingham and London he moved to live in Wales UK in 1975. 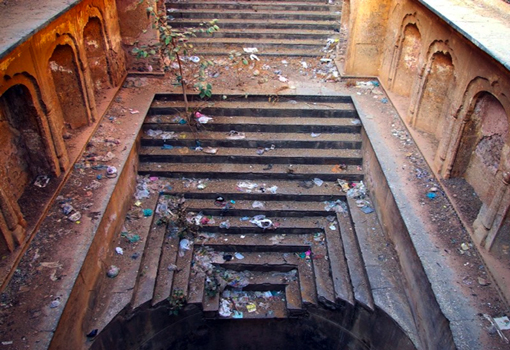 From 2008 he has been touring his current exhibition Subterranean Architecture, Stepwells in Western India to six venues in the UK. and four in India. This is an exhibition of digital images and related drawings and prints. The impact of the rich visual culture of India, and in particular some aspects of traditional architecture, Stepwells and the four existing stone observatories created by Jai Singh II between 1715-40 have influenced the developments of Richard's work. During the Spring of 2007 he engaged in a research tour of Gujarat and Rajasthan visiting Stepwell sites and Jantar Mantar documenting and recording images. In addition to the recent digital photographs from India his work also deals with architectural influences from Japan. A very long standing interest the designs of American Cars have featured in his drawing since the late 1960s and he has worked and visited the USA many times developing an extensive visual archive on the subject.